I know what I want to say about bees, and clover and me. However, I don't know much about bees, beyond the fact that when I was a kid I was stung a few times and it hurt. Now I know the act of stinging me killed the bee. It died to defend itself, its queen, or its home and it did that because I wasn't aware enough to know that I was a threat to one, two, or all three of those things. That is a powerful act of commitment and an impressive one. I know even less about clover than I do about bees. I know that the lawns and fields of my part of the world are covered in white and occasionally pink clover this time of year. I know that children and bees love clover. 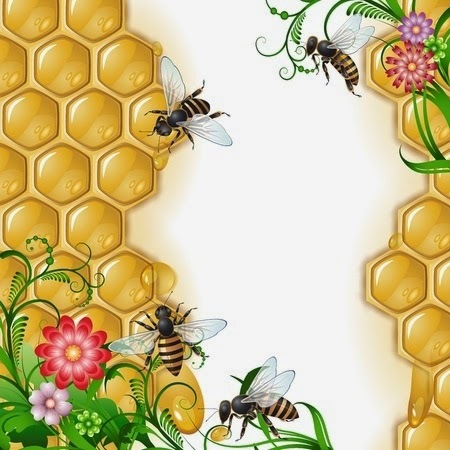 The children make necklaces and bracelets from it, and the bees gather it's nectar and take it back to the hive where it's converted into a honey. A long time ago I realized that the clover was important to bees. Also, a long time ago, I began to hear that the bee population was diminishing, and no one knew why (and there is still no consensus on the subject). I was thinking about that one day as I cut the lawn, and I stopped short of hacking through a large swath of the white flowers. I stood at the edge of the patch of clover, lawn mower howling, and studied it. As I looked I noticed a number of bees moving purposefully from flower to flower with no regard for me or the mower. Suddenly I knew what I had to do. I carefully cut around the clover and before I was done I had spared two more patches. Later, as a patch of clover died back and new ones sprang up I relocated the "saved clover patches." think, it adds an interesting touch to the landscape. 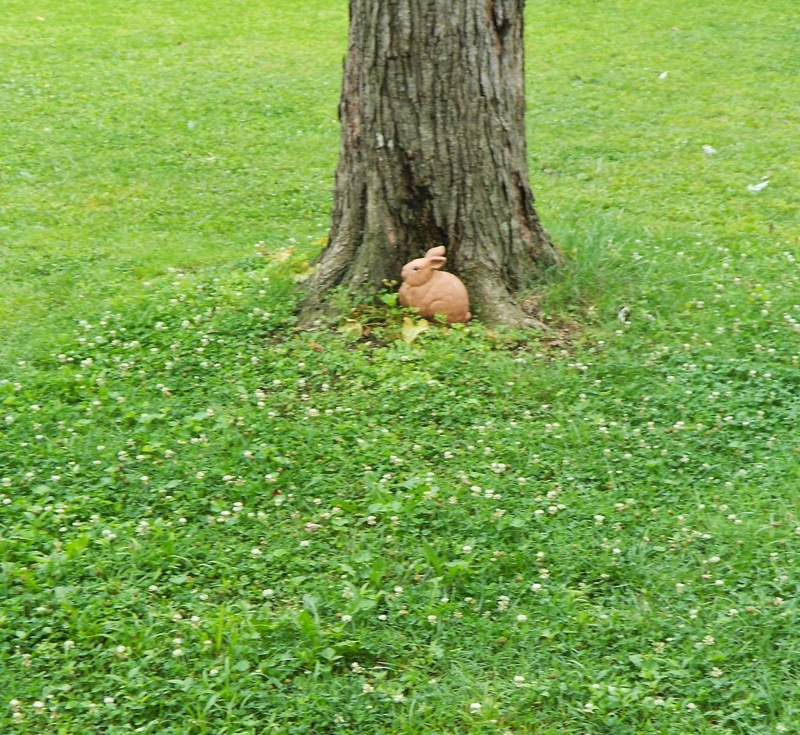 Here's what a current clover patch looks like from the perspective of the old ceramic rabbit who oversees all back yard activity. I do not think, for a minute, I'm saving a single bee, or a hive of them. I leave the clover so I'll have the pleasure of watching the bees, who, with no regard for the things that we humans think are important, go about their work, not bothering anything, yet committed, to death if necessary, to do what is theirs to do. The uncompromising dedication of the honey bee refreshes my spirit in the midst of the totally compromised chaos of human activity.